We, the undersigned residents of San Francisco and the Bay Area are excited to strongly support the approval of the Vapor Room Cooperative Medical Cannabis Dispensary application at 79 9th Street. We have signed below to urge the Planning Commission to follow the recommendation of Planning Department Northeast Planner, Nicholas Foster, and approve this project. 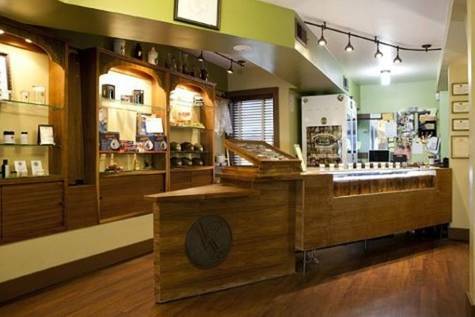 The Vapor Room Cooperative (VRC) was the third MCD to be permitted in the City and the first to receive unanimous approval by the Planning Commission in 2006 for its Lower Haight location. Until 2012, VRC operated as a model dispensary providing extraordinary compassion programs and holistic health services for their members and neighboring community. Their formula for success was compassion, community involvement, and neighborhood safety and security. The VRC was the first MCD to designate a full-time Community Liaison, a position the City later adopted as a requirement of all MCD’s. While at their District 5 Lower Haight location, the VRC co-founded the Lower Haight Merchant and Residents Association, organized the first Lower Haight Art Walk, and sponsored the installation of brighter bulbs in street lamps, neighborhood cleanup days, and tree plantings. During their years of operation in the Lower Haight, police reports of crime decreased in the surrounding community. Neighbors and merchants agreed that the decrease in crime had a lot to do with the VRC’s diligent and friendly security staff, monitoring of foot traffic, keeping the street clean and well lit, and engaging proactively with the community. The VRC has a proven track record of involving and engaging community partners and, thus, will be a tremendous and compassionate benefit to not just the medical cannabis patients living and working in the area, but to the neighboring community at large. We thank the Planning Commission for its time and consideration and respectfully request that the Commission approve the Vapor Room Cooperative Medical Cannabis Dispensary application as proposed.